Factual error: In the scene where the Navy Seals are riding in the cars, the VA state vehicle inspection can be read from behind. It read "6 13" for June 2013. This would have been correct for the period the film was made, but not for the time of the incident. Continuity mistake: In the lifeboat on the way to the mainland, Capt Phillips sometimes is clean-shaven and sometimes has stubble. 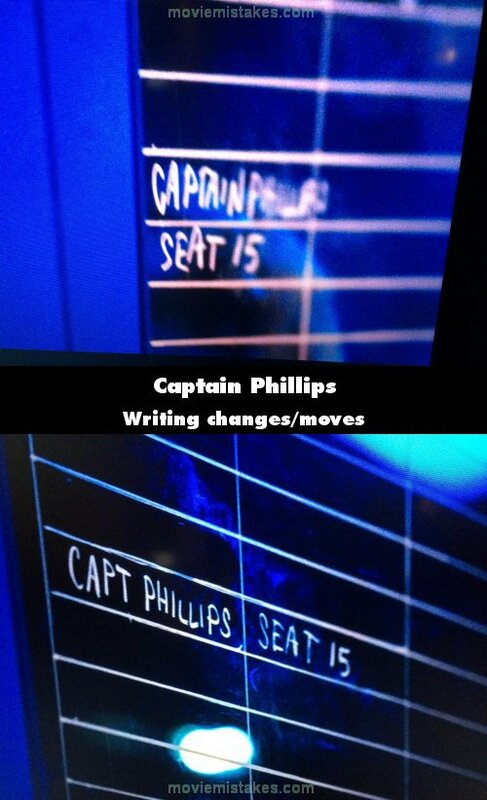 Continuity mistake: At the beginning of the movie, the scene where Captain Phillips and wife are in a car driving to the airport, Catherine Keener's hair changes back and forth between shots. The left side of her hair is swept back in a clip or comb. In some shots all the hair on her left is swept back, and in other shots there are loose curls hanging down. Flips several times. 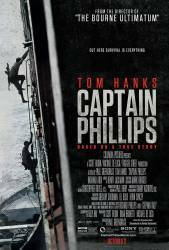 Factual error: When Phillips is aboard the lifeboat, Najee has a pistol pointed at him at one point. The pistol is a 1911, and the hammer is forward when pointed at his head. Najee then fires it, but the hammer was forward the entire time until he fires the pistol. The 1911 is a single action handgun, and will only fire when the hammer is back. Muse: I'm the captain now.